This post is the third in an occasional series on useful apps for photography. Part 1 covered Must Have Photography Apps and Part 2 covered Must Have Photography Processing Apps. This post will expand the conversation by introducing apps that can assist you in your photography - regardless of whether you are shooting with your phone, point-and-shoot camera, or DSLR. Desktop web app shown. Mobile apps contain the same information across multiple screens. 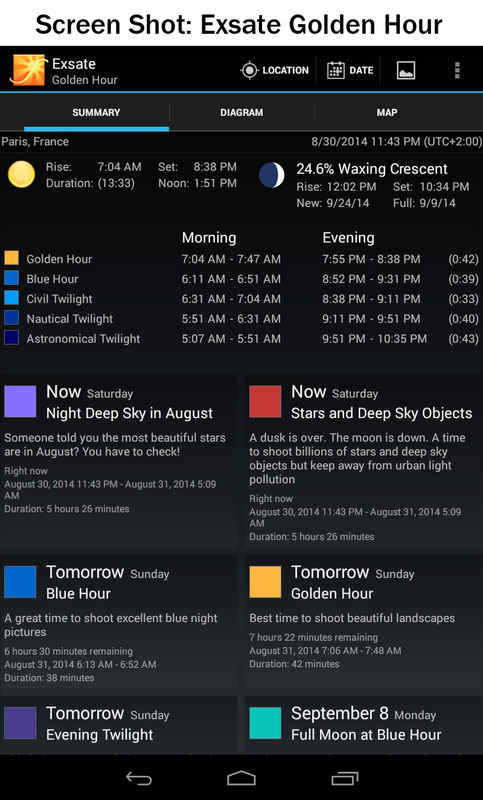 The Photographer's Ephemeris (free for computers, $4.99 for Android, or $8.99 for iPhones and iPads). 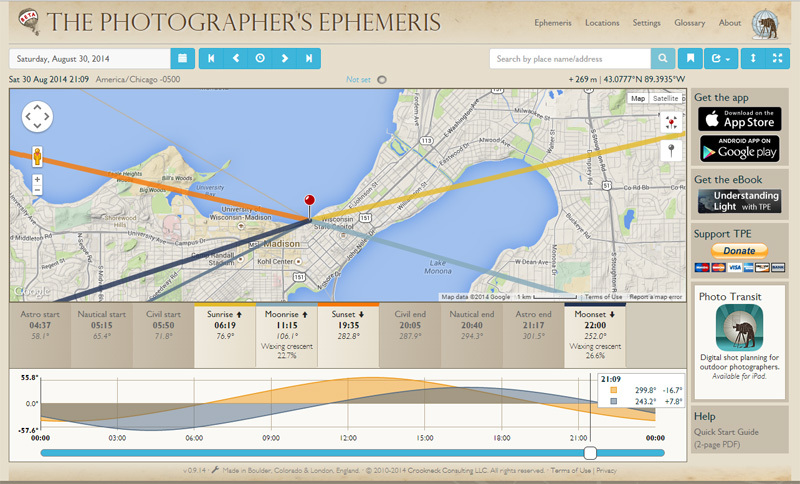 The Photographers' Ephemeris is a must have app for planning a photography shoot, and one that I have mentioned many times before. 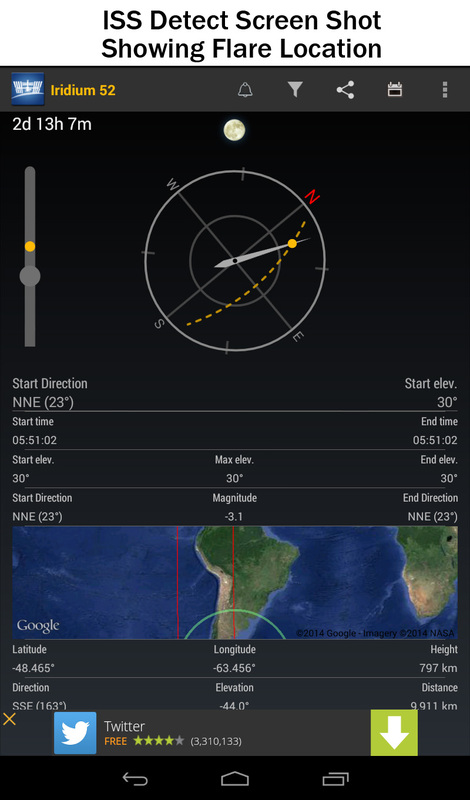 The Ephemeris allows you to plot your location on a map and see the angles and timing of sunrise, sunset, moon rise, and moon set. 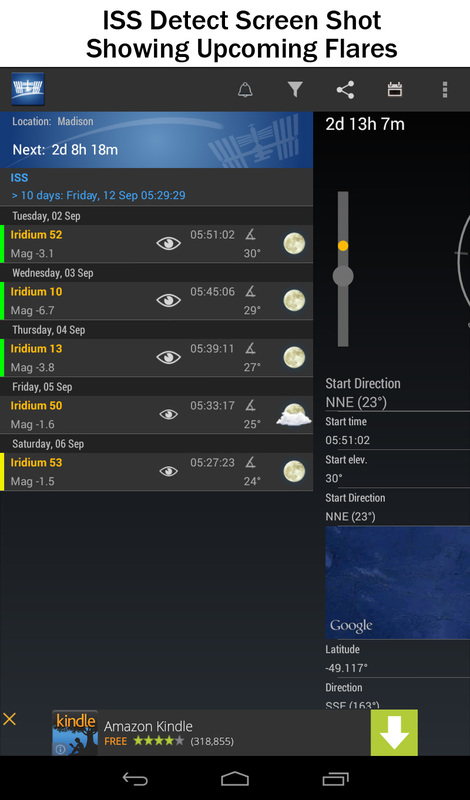 The app has also been recently updated with more features, including the timings for the astronomical, nautical, and civil start and end times for twilight. 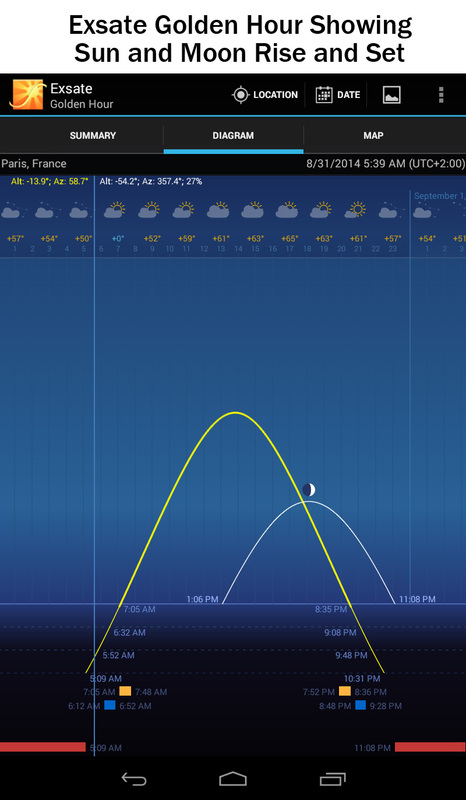 The Ephemeris allows you to plan both the timing and location of your shoot, depending on what you want to capture. If you want to shoot a sunset behind a famous landmark or the moon rising above a clear lake, you can determine exactly where (and when) to be to capture that exact event. Read more details in How to Shoot the Moon with the Photographers' Ephemeris. Golden Hour apps (Exsate Golden Hour free for Android or Golden Hour by Roger Moffat $1.99 for iPhones and iPads). These two apps provide some of the same information as the Photographers' Ephemeris but with a focus on the timing for the Golden Hour and the Blue Hour. Both apps contain off-line information, so you can use them in locations without reliable internet or cell access. Soft Light or Soft Box style apps (Pocket Softbox free with ads for Android , Softlight free with adds for Android, or SoftBox Pro $0.99 for iPhone or $2.99 for iPad). There are several different apps available that allow you to use your phone or tablet as a light source or soft box. If you are using a tablet, you can set small objects on it and use your tablet as a light box directly. These apps work best in darker situations or as an accent to other lighting. Soft Box Pro for Apple provides 15 different colors, 15 different softbox shapes, and 15 different grids or patterns to adjust the light. 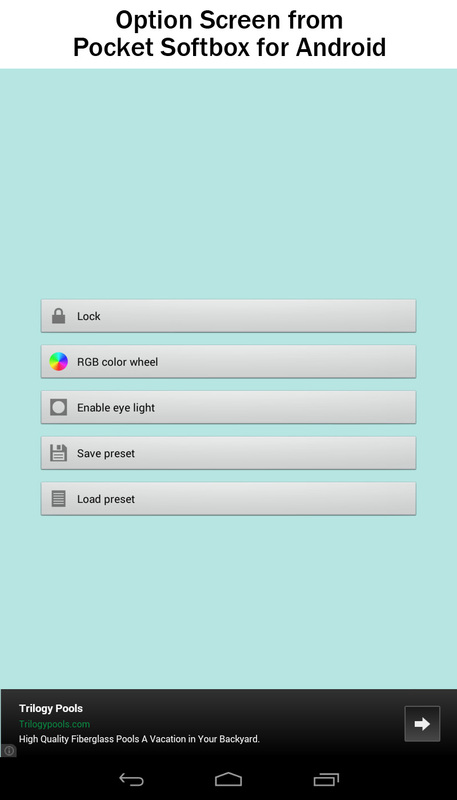 In-app purchases allow for additional options, including an RGB color wheel picker. 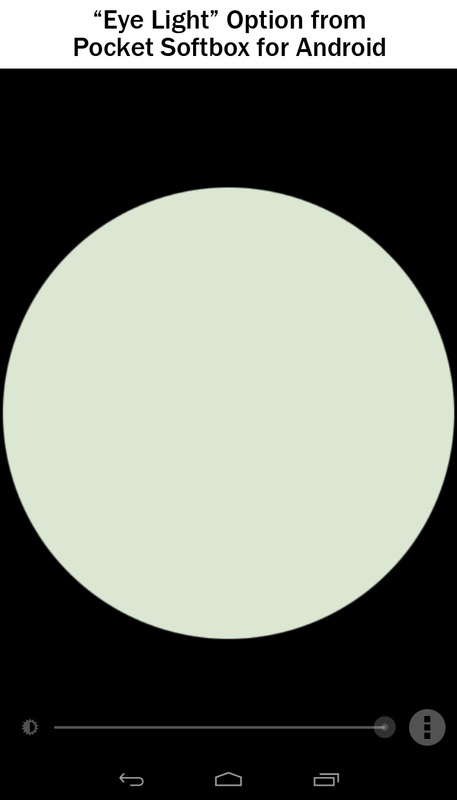 Brightness can be adjusted across eight stops of light. My Shot Lists (free for iPhone and iPad; no Android version, alas) is an easy-to-use app that includes more than 50 different categories of shots that you can use to create your own shot lists. 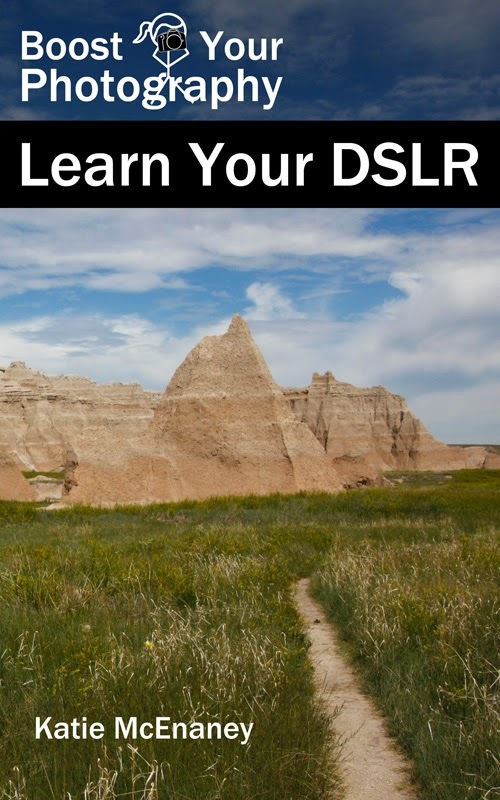 This app is geared towards travel photographers and includes examples and information about each type of shot as well. 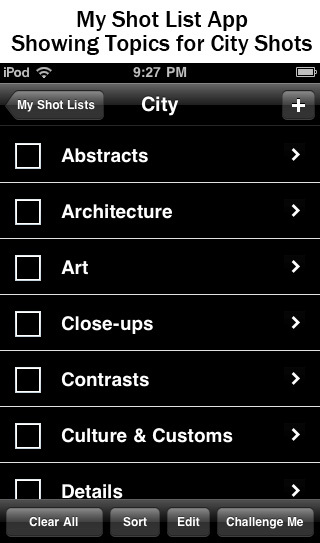 You can also add notes to the categories or to your own photos as you go. Read more about Travel Photography and Why to Make a Shot List here. 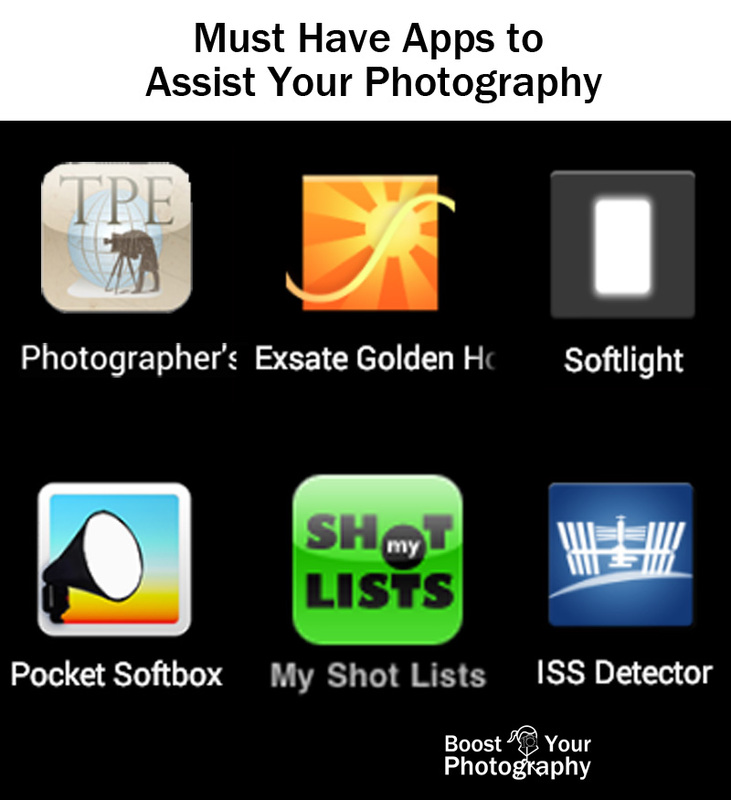 Each of these apps can assist you in your photography, regardless of the type of camera you are using. Apps like the Photographer's Ephemeris, ISS Satellite Detector, and the Golden Hour apps will help you plan and prepare for your shot by figuring out where and when to shoot. My Shot List lets you plan and track your upcoming shoot and also serves as a great jumping off point for challenging yourself in your photography - give a new category or style a try. Finally, the lighting and softbox apps allow you to add light productively and creatively to your scene. Did you miss the first two app posts? Check out Part 1: Photography Apps (apps for taking better photographs with your phone) and Part 2: Photography Processing Apps. 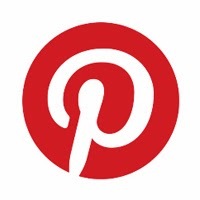 Have another favorite app? Share your thoughts in the comments below!